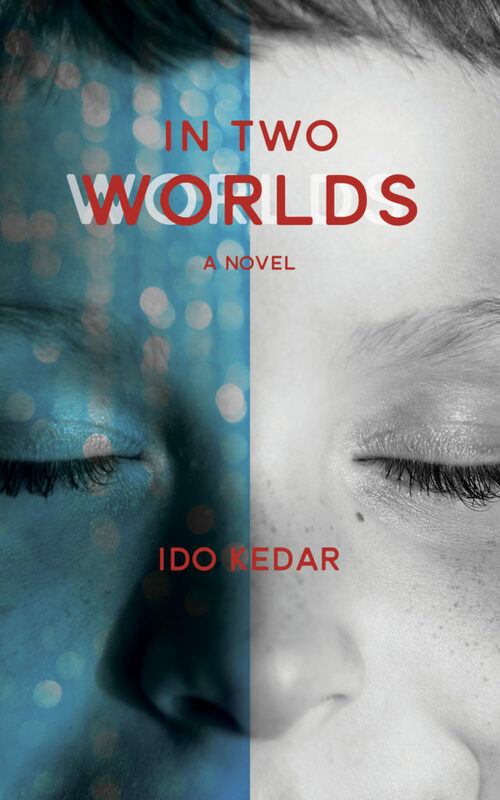 This entry was posted in autism, autistic authors, Ido in Autismland, Ido Kedar, In Two Worlds, senses, Uncategorized. Bookmark the permalink. I had an intensely emotional response to this extract . It was both painful and beautiful to be taken inside Anthiny’s experience. My son is seven and non speaking so I am bound to relate to the content, but putting that aside I thought this was really quite extraordinary. I have a feeling that EVERYONE would benefit from reading this book. I have to admit I was a little concerned as to whether fiction would be the right vehicle for your writing (I loved Ido in Autismland so much) but it is often the case that fiction can tell truths better than non-fiction, and I suspect this is the case here. I bought the book a few days ago and expect I will race through it . I also expect to then buy more copies and start gifting them to family and friends! That’s why I wrote it in fiction, to really have to chance of getting a much bigger picture. 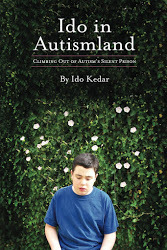 I’m so glad you loved ‘Ido in Autismland,’ and I hope you will love this book more. If you have time, I’m asking readers to post reviews on Amazon and Goodreads. I purchased Ido’s novel as soon as I heard it was available and am almost finished. Although it is classified as fiction, it is like historical fiction that is a fictionalized story grounded in real events. His novel has fictional characters and events but clearly draws on his personal experience with stigma, oppression by “experts,” and coping mechanisms dealing with non-speaking autism. It is a triumphant story that describes the main character’s experience as he learns to communicate. Even as a non-disabled speaking Autistic person the book has made me both laugh and get angry as I recognized things about myself. As a human being it has made me cry with sadness seeing what another human being had to go through and cry with joy as Antony was finally able to start letting people see his lively personhood. Everyone should read this. Thanks Ido, you’ve done it again! I appreciate your praise. Would you mind posting your opinion on Amazon and Goodreads reviews? wow, so far i think this book could be really good. it is very hard to have autism because it can be frustrating at times. Your first chapter of your book was really good. I like the part about the sand, that was really funny. It is really difficult to sense what is going on in your surroundings just like Anthony did. Sometimes i do not want to have autism. At times i feel pressure, sounds can bother me and i get sometimes upset, startled, or frustrated when noise get overwhelming for me. Anthony is like that too, he feels things differently, he goes through his struggles, just like you and me. Your blog has come such a very long way, keep it up. You written two books, and that is really awesome. A lot of kids with disabilities have typed on the computer, but you written two books, that is really amazing, you have done what they could have done. After so many years, you are still inspiring others to do what people with Autism want to do. Other people in schools do Best Buddies with disabled kids. You are very unique in a cool way, and i feel good at what you do. Great job, i think you will have a great successful future, congratulations on your work, thank you and good luck. Gee, Ido, I’ve only read your first paragraph so far and I must say it is extraordinary ro realize that “Clever Hans” has so many adjectives in his vocabulary…. Just received In Two Worlds. Look forward to reading it this week. Thanks for writing it, Ido. Thanks! I hope you’ll consider writing a review on Amazon if you like it. I just read In Two Worlds. Truly impressed and inspired by this novel. I hope one day our autistic son will be able to communicate freely like you. Thank you for creating the paradigm shift in how people perceive autism. Highly recommended book for all. I would be grateful if you posted a review on Goodreads and/or Amazon. I wanted to let you know how much I enjoyed your new novel. I wrote a review in Amazon for it. I wanted to let you know that I work for a school program that has learners who are non speaking who are using RPM and that I live with two non speaking young people with autism who are using RPM although they are no yet communicating as well as you are. I have been contracted to develop a parent education program and I want to make many quotes from you and send people to buy your book. I am also reading your book aloud in segments for my friend and colleague who is almost 90 and cannot read. She is so excited by your work and by the hope that you are bringing to non speaking people and their families. We have both worked with such children with autism for many years and just knew they were there inside. I hope you will reply to me so that I can explore with you seeking permission to make an audio version of your book to use with my parent education program. Blessings to you for the hope you bring. Thanks so much for your kind words. You are welcome to quote my books or essays. Making an audiobook is a more complex issue. Please give us a few weeks and someone will email you. Thanks for reminding us to review the book so others get a heads up about its significance. I just put my review on Amazon.ca, where a doctor also gave it five stars. Once an e-book is available, I’m sure lots of people will want to access it. I know people I would be buying it for already. Keep us posted! Ebooks are out on Kindle and Smashwords already. Links are on the right under the picture of the book’s cover. Thanks for the nice review and your support! Thank you for the great book and all your advocacy. I made an oops in my last post (the kind of Autistic oops I have to be very careful of when I don’t say what I mean to convey to others but only what my own brain has set itself on). I meant to say I’m also looking forward to when an audio book of your novel is available because I know people who would best be able to access your work in that form. I read this book in one sitting. I couldn’t put it down. The perspective was unlike anything I have ever read. My book is due to arrive on Wednesday. I look forward to reading it. Your first book has given me hope for my 6 year old not yet speaking boy, who currently communicates with Proloquo2Go. Your writing is a gift Ido. You have shared incredible insights with the world into the condition known as autism, but also into errors in human perception of others. Please tell me the name of the predictive typing to speech system you currently use. God bless. I use either assistive express or proloquo4text (letters and word prediction app). Assistive Express or proloquo4text. Keeble keyboard is good too. I am currently reading this (on my Kindle) and I am very impressed. Once completed I plan to write a review on Amazon. A very important book; revolutionary, in fact. Ido you are great, i read many article about you, i will translate this articles in Perisan & Kurdish Language, hope that Autismic people get known with you.